NEW PRODUCTS – Collection of A/V Parts – Screws / Mounts / Brackets / Swivel-Heads / PTZ « Adafruit Industries – Makers, hackers, artists, designers and engineers! A collection of A/V parts, great for use with projects like the 3D Printed Camera Slider or the DIY Camera Monitor! 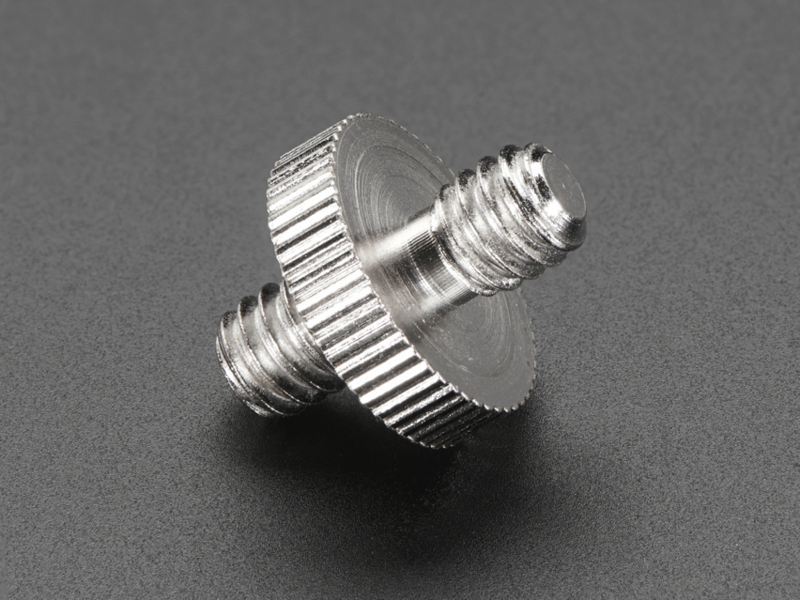 This 3/8″ to 1/4″ Adapter Screw is super handy if you’re building projects that connect to a tripod or a camera. 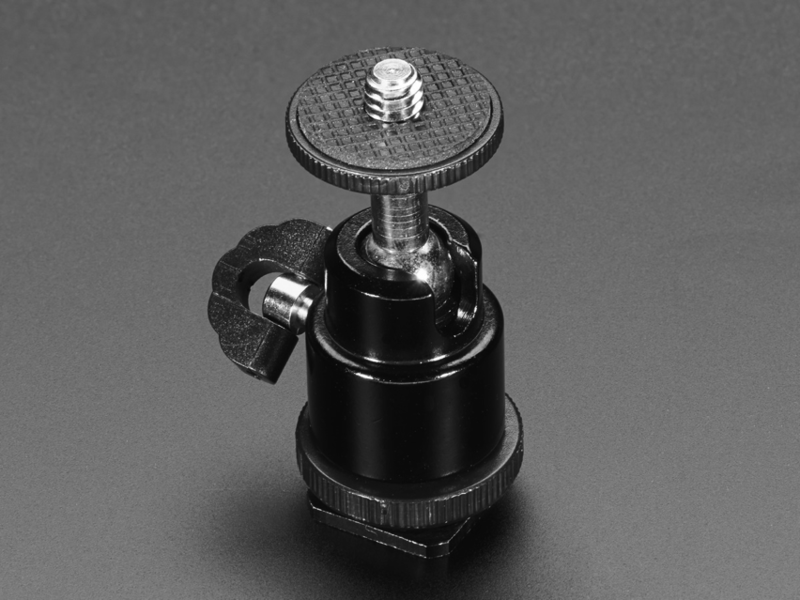 It’s a simple fix for getting a tripod with a 1/4″ machine screw fastened onto a camera with a 3/8″ thread nut. It’s also very handy when 3D printing an enclosure that will connect to a camera/tripod because you can make a 3/8″ hole and then glue this in. 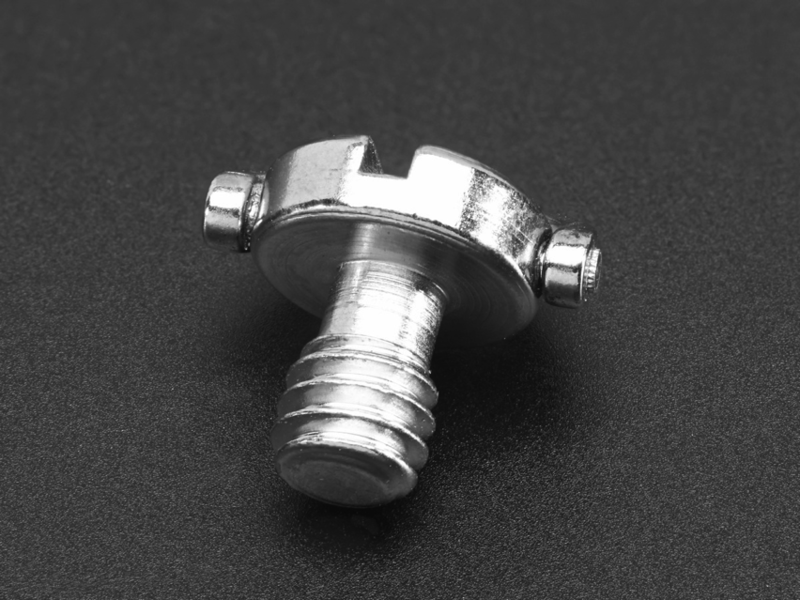 That way you get nice strong steel threads and aren’t relying on your 3D print to match nicely with a 1/4″ mount. This small and useful Shoe Mount / Bracket lets you take something with a 1/4″ machine screw (standard in video/photo work) and turn it into a ‘shoe mount’! It’s very handy for mounting LED photo lights (as seen in our example), flash adapters, video displays, radio slaves or virtually any type of shoe-mounted device. Great for use with our adjustable shoe-mounted pan tilt. 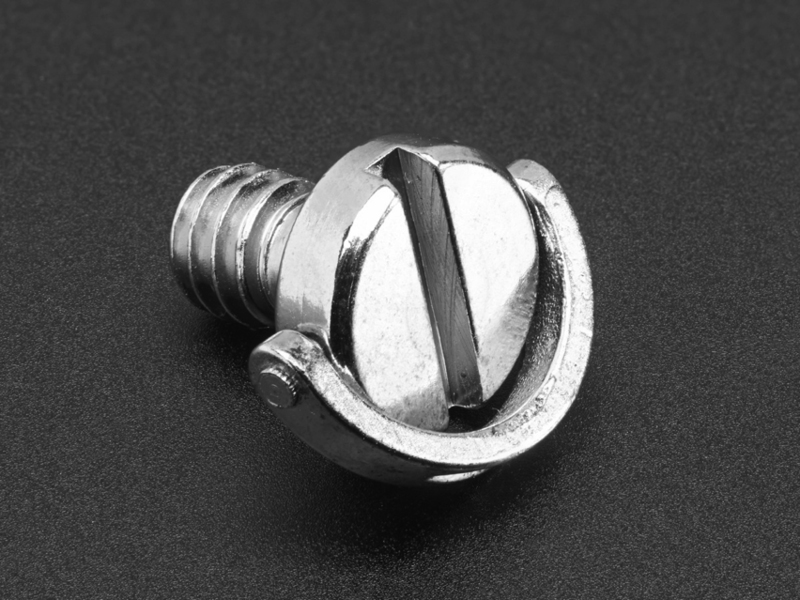 Most photo equipment you’ll find these days is built to slide into a shoe and then using the spring-tensioned adjustment screw get safely tightened into place! 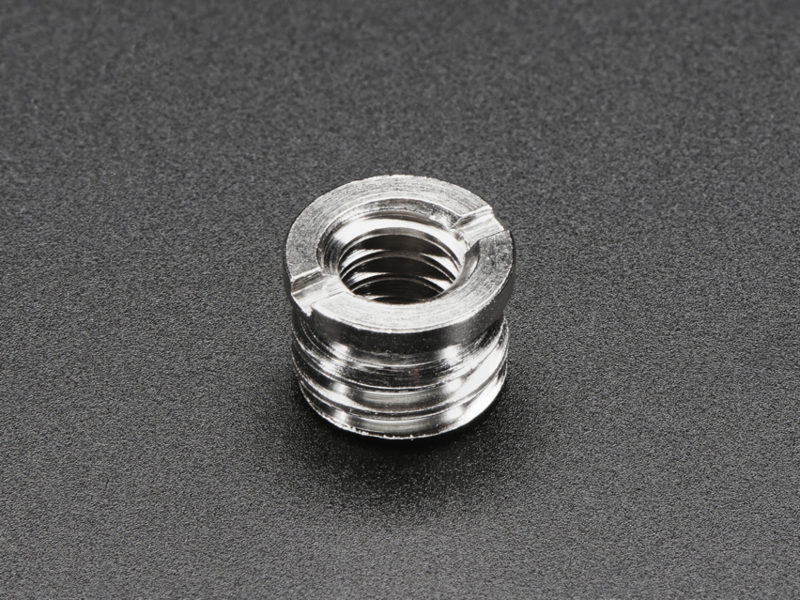 You can use this 1/4″-to-1/4″ adapter if you need to attach it to something with a 1/4″ nut. 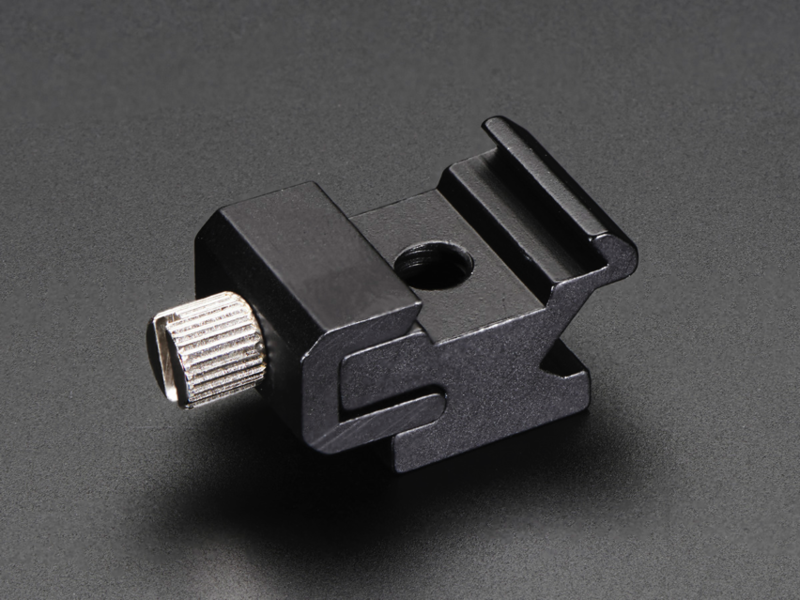 This Swivel-Head Pan-Tilt (PTZ) Shoe Mount Adapter allows you to attach something with standard 1/4″ machine screw mount to a camera’s shoe mount, with free range of motion! 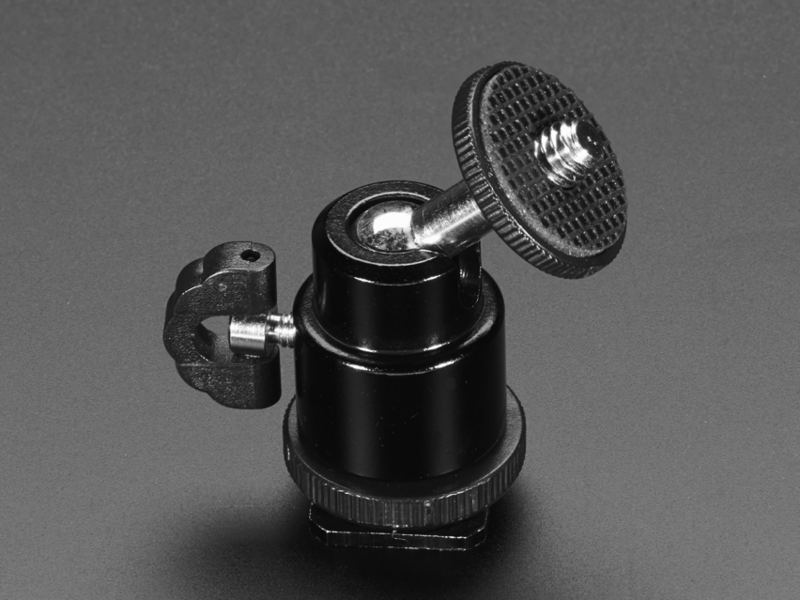 Loosen the side screw and the ball-joint is free to move all around, then tighten it back up to keep your gear in place! 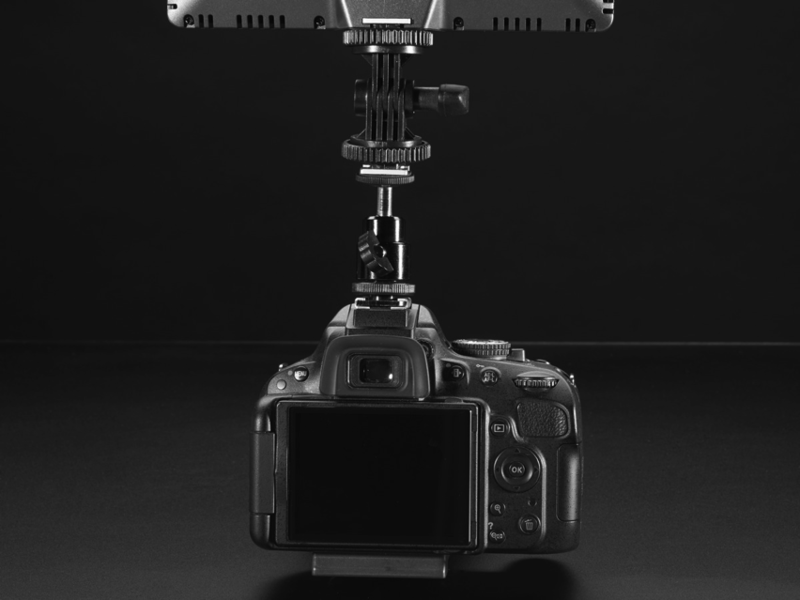 Great for camera, video or robotics projects where you want a basic adjustable pan-tilt. 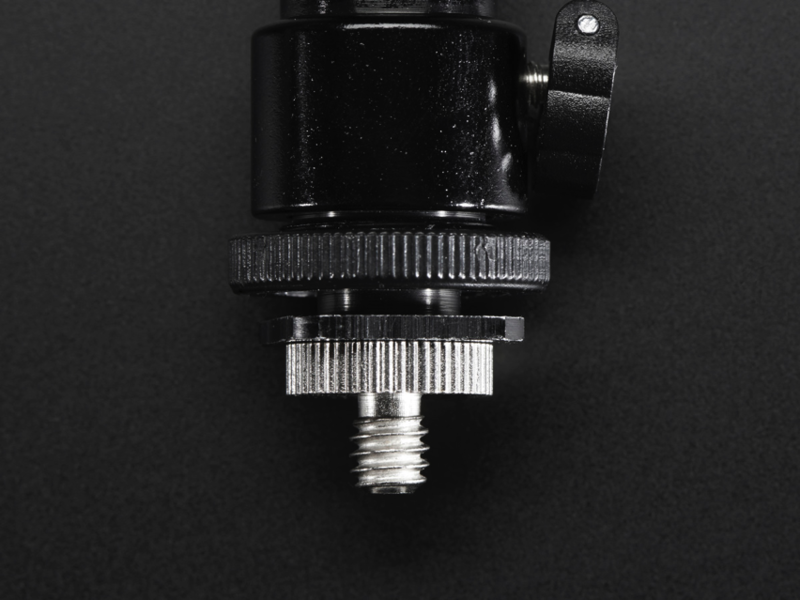 This 1/4″ screw to 1/4″ screw is very simple but you’ll find it an essential adapter for video/photo contstruction projects. 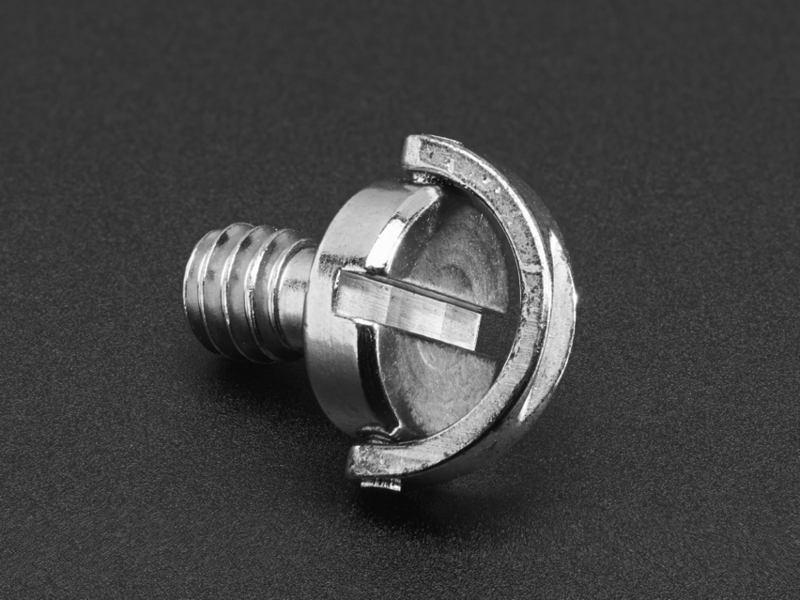 This little screw connector is the glue, bringing together products that are meant for each other. 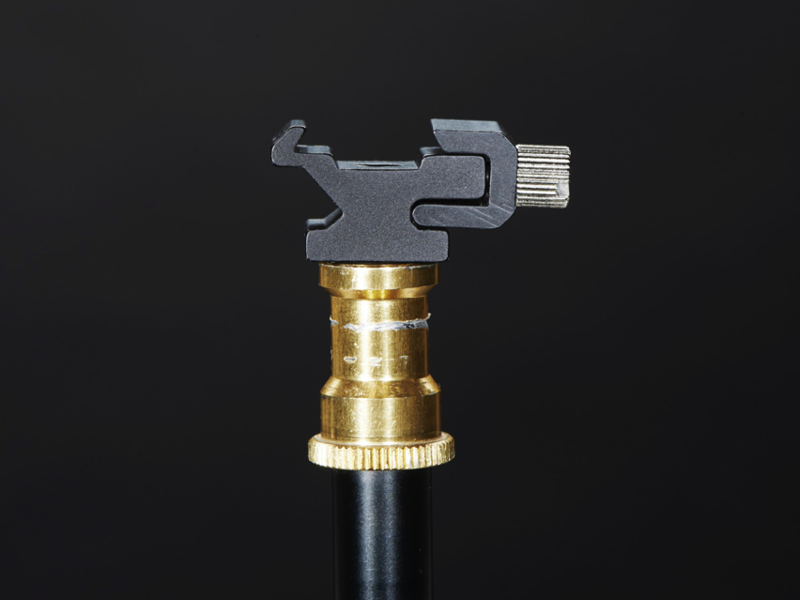 Like a Shoe Mount / Bracket to it’s LED photo lights or a Swivel-Head PTZ Mount Adapter to the top of a camera! 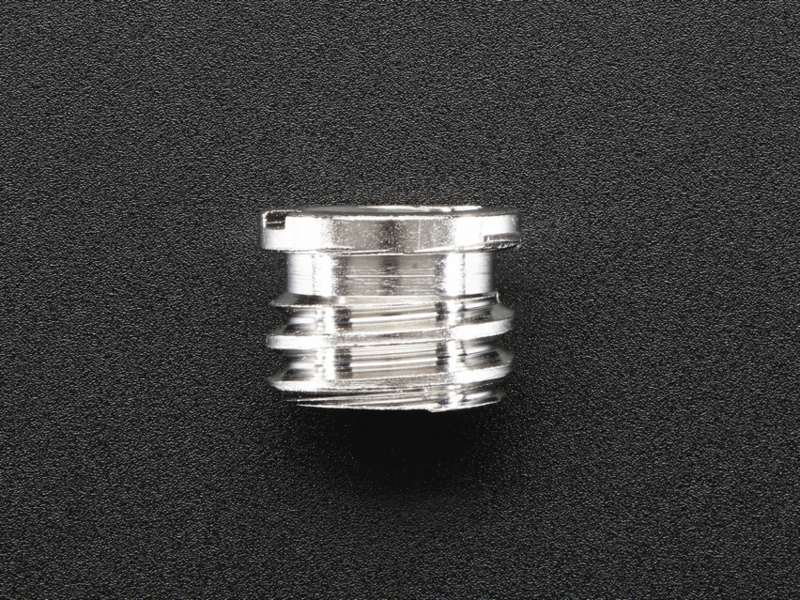 The 1/4″ thread is standard in equipment so if you ever want to attach two of them together, this is the right thing to use.